Marc Demarquette has been the recipient of so many accolades it’s beginning to frustrate the competition. The most awarded luxury chocolatier for the last three years, including eleven prestigious Guild of Fine Food Great Taste Awards in 2010, multiple category wins at the Academy of Chocolate Awards in 2011, not to mention solo commissions from Fortnum & Mason, the Chelsea Flower Show, the Royal Opera House and, most recently, an appointment to become Harrods’ chocolatier, naturally an invitation to pop along to his Chelsea shop for a tasting one afternoon was an opportunity I wasn’t going to pass up. You’d think such acclaim would warrant grand premises and as I made my way down the Fulham Road, I was looking for something akin to the Michelin building; an art nouveau behemoth the length of a block, fronted with pilasters, Doric columns and gilded architraves, but such is its unassuming, indistinct façade that I passed it twice without realising. There is, admittedly, a huge ornate ‘D’ denoting where we are…but this is inside the shop at the back as if in a slightly embarrassed gesture of showmanship. “How much do you know about chocolate?” Marc asks me as we sit at a small table in the shop window. Even the way he says ‘chocolate’, the glottal stops catch so that it sounds unctuous, inviting. “There is a way to enjoy chocolate,” he says, “you’re supposed to go from the purest to the most flavoured, have them with a glass of lukewarm water, set in candlelight and, ideally, with a few nuns singing in the background.” I think about this. “I can’t say I’ve ever had it with a glass of lukewarm water,” I reply. He chuckles, “The point being that if it tickles your taste buds and you enjoy it and get a kick out of it, then I’ve done my job.” He presents a tiny saucer of half a dozen of his signature creations. Six. Six chocolates. Six little morsels of arguably the finest chocolates in the world. That’s barely a mouthful. I shall have to work quickly, peppering him with questions in an effort to distract him and get more. He gives an overview of the offering, “English Earl Grey, from Tregothnan, grown in Cornwall; the one with the ‘D’ is our signature chocolate, made with three single estate cocoas that we blend together; then we have the Moroccan mint tea, which is an award winner, following a proper Moroccan tea recipe with fresh mint, not, I hasten to add, green tea with mint flavour; that’s Sicilian lemon, made with lemons from Sicily, obviously; here the Kentish cob nut, which is a hybrid of praline and caramel; and finally we have the wild honey.” I hope that’s just to warm up. I can’t wait. I heed his suggestion, select the signature chocolate and let it linger. A chorus of nuns erupt into Zadok the Priest. It’s so moreish that I don’t think I’ll be able to restrain myself for the rest. There seem so few on the plate. Will he notice if I surreptitiously wolf them down? Besides, with any luck he’ll bring some more out. “A lot of it is sheer madness in pushing boundaries, where the competition means you have to continually position yourself and create another cracking chocolate. And it’s discovering different blends, different cocoas, that work together, rather than chucking it all together, thinking, ‘well it’s all chocolate, really’. This is all about developing the nuances so hopefully what you’ll get is a burst of cocoa and then a touch of the aridity, slight bitterness coming through, and then some light acidity and fruit towards the end. Once your palate is cleared those flavours and aromas will return.” I nod, sagely, in faux concentration and hope he hasn’t noticed that I’ve already popped the Earl Grey into my mouth. “Now, with the Earl Grey,” he says, “once the Bergamot comes through, there should also be a dry texture, from the tea, but what we didn’t want to have is the tea and chocolate killing each other off, there should be a balance.” It’s a cue for me to ask about his technique and how he goes about making these delectable morsels. “I’ve been to Morocco,” I say, “and that really is a glass of Moroccan mint tea in a chocolate.” Marc’s eyes glint. That’s precisely the effect he was hoping for. It’s that ‘kick’ I got out of it that distinguishes Demarquette from his competitors. It’s what he does with the chocolate and how he sets it up for you to taste it. 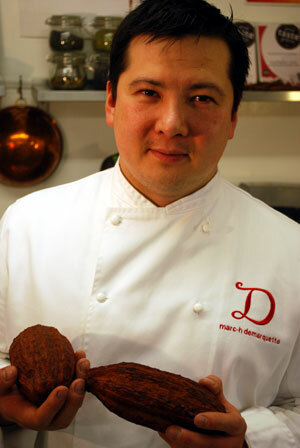 What Marc Demarquette creates is chocolate…with a story. But it’s Easter that is, perhaps, the busiest and most challenging time in which to conjure up themes and stand out from the competition. Once again, in coming up with the story this year, Marc has gone way out of the park. There has been a trend of late to introduce salt in chocolate and caramel as it enhances the flavour by juxtaposing with the sweetness of the chocolate. It stands to reason, then, that Marc has taken this a step further and this year takes his inspiration from the sea. It being Easter, two specially-created eggs bookend the selection. Weighing in at half a kilo, the first is hand-painted in bright marine colours and encrusted with colourful seashells with a delicious sea salt caramel filling. 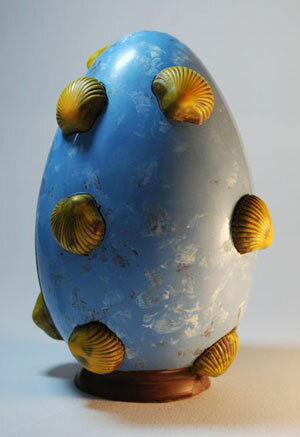 Its sister is the ‘oceanic reef egg’, 20 centimetres tall and entirely edible. Featuring a colonnade of six hand painted seahorses filled with sweet caramel, it is encased in a shell of Demarquette’s signature single origin chocolate and covered in a delicate coating of coral orange coloured white chocolate velvet adding a unique, luxurious texture. It’s inventive, adventurous, enterprising. 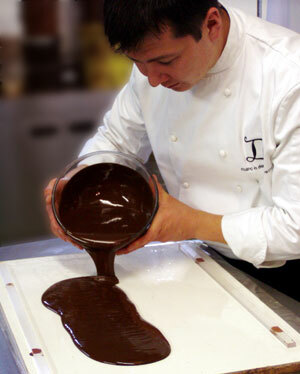 “But every chocolatier has his or her own way of doing things,” Marc says, with unabashed modesty. 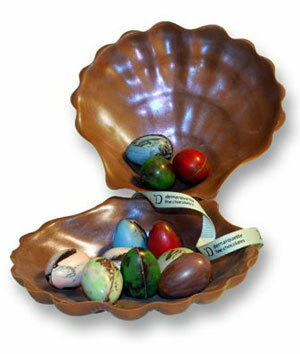 Completing the marine offering is the ‘Easter egg clam’; a selection of eggs from the Great British Orchard collection sit inside an entirely edible clam shell to which Marc has developed a unique method to achieve a striking pearl-like iridescence. Carefully moulded using 38% single origin milk chocolate from Venezuela, Madagascar and Java – these have been chosen for their quality in flavour, as well as the quality of life for producers, and the superiority of cultivation. By now, there’s just the dome-shaped Kentish cob nut left. It’s a type of chocolate attributed to Marc, not simply by using a cob nut but being a hybrid of a praline and a caramel, and then coated. And it, too, is an award-winner, taking the Triple Gold Crown at the 2011 Guild of Fine Food Awards. It’s no wonder, then, that this very British woodland fare should make up Demarquette’s commemorative offering for the Queen’s Diamond Jubilee and, naturally, in jewel-shaped shells of milk and dark chocolate. It’s been an education and a study in appreciation. It’s a good point to conclude proceedings and as I stand to leave, I linger by the displays, eyeing the rows of chocolates longingly. Marc disappears behind the counter. If I could just reach round…He appears again and I collect myself. He’s evidently back in work mode, rearranging chocolates, placing them in boxes, clearly an artist deep in thought and I sense my time is up. Oh well, I was lucky enough to be asked for a tasting, after all. I chance upon slipping out of the door. “Hang on,” he says, even dismayed I might be leaving without a goodbye, “I’ve got to give you these yet,” and he beams, presenting me with a beautiful selection box of his classic ganaches. What a thoroughly cracking chap. I can barely disguise my guilt. Judging starts soon for the 2012 Great Taste Awards and not long after come the Chocolate ‘Oscars’ – doubtless we’ll see his fourth year in a row as the most crowned chocolate artisan – and while retail expansion is on the cards, I don’t doubt that Marc’s humility will change. Although he might just allow himself a bigger ‘D’ on the shop sign. We are pleased to offer Arbuturian readers an exclusive 20% discount for all online orders made at www.demarquette.co.uk, valid until 31 August 2012. Simply enter the code THEARB in the relevant discount box during the check out process. 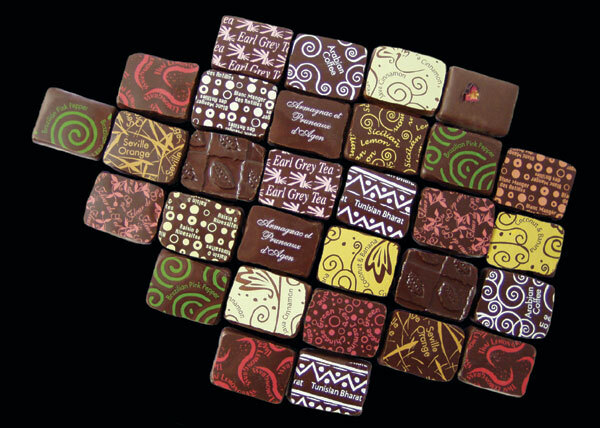 The full range of Demarquette chocolates are on offer in the boutique at 285 Fulham Road, Chelsea, London SW10 9PZ, or online at www.demarquette.co.uk. Selected ranges are available at Fortnum & Mason, Harvey Nichols and Harrods. 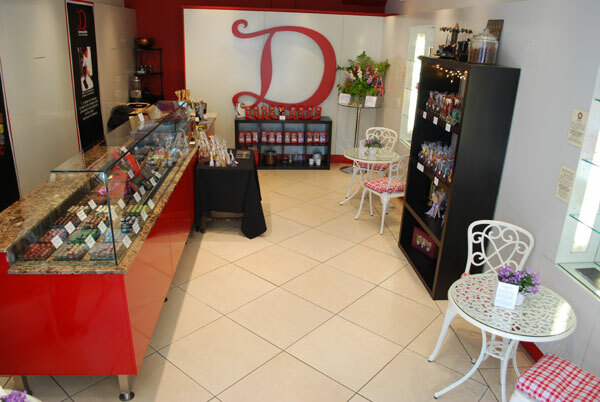 For more information on Demarquette chocolates, including tasting notes and a taste guide, the ‘bean to bar’ journey and even the health benefits of chocolate, visit their website.